Outer Reef Yachts of Ft. Lauderdale, Florida, and Kadey-Krogen Yachts of Stuart, Florida, have entered into an agreement in which Outer Reef Yachts will represent Kadey-Krogen Yachts through all of the Outer Reef Yachts established international sales and service locations. “With Outer Reef offices and service centers in Sydney, Australia, and seven locations throughout Europe, Kadey-Krogen is poised to hit the ground running as we launch into the international market. Partnering with a company with an established international sales and service network made good business sense for us, but it was even more important to find a company like Outer Reef that shares our vision of customer service,” says John Gear, President of Kadey-Krogen Yachts. “We see the representation of Kadey-Krogen Yachts as a great opportunity to offer a very high quality product to our international clientele in the under 60’ range, a size range that Outer Reef Yachts currently does not offer. Kadey-Krogen is synonymous with high quality and exceptional service, a characteristic that embodies the Outer Reef philosophy and business model,” says Jeff Druek, President and CEO of Outer Reef Yachts. Kadey-Krogen Yachts currently builds long range Trawler Yachts from 39’ to 58’ in pilothouse and tri-deck configurations. Outer Reef Yachts builds custom long range Motor Yachts from 63’ to 118’ also in raised pilothouse and tri-deck configurations. 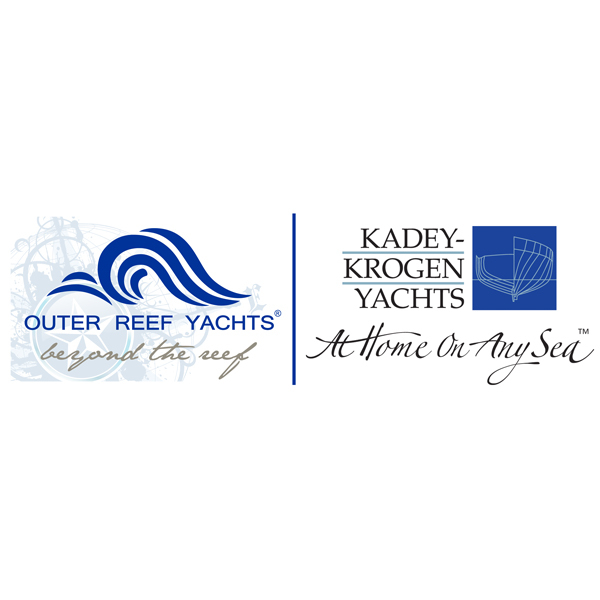 For more information visit www.outerreefyachts.com and www.kadeykrogen.com.